Synchronous Linear Actuators offered comes under name “Linear AC Actuator - 6.67/8.33 mm/sec” and provides working as permanent magnet type linear reversing synchronous motor. 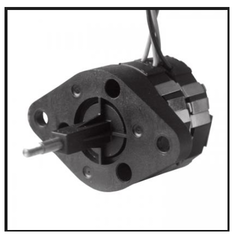 These motors are made available with two stators winding support and provides for single-phase working of AC 50/60 Hz. Further, these 12 pole rotor can deliver to & fro motion upon motor being energized. Looking for Synchronous Linear Actuators or AC Linear Actuators ?